In addition to the pride and honour that comes with carrying the International Hockey Lineal Championship, we also wanted to acknowledge the difficulty it takes to hold the IHLC throughout the course of a season. So we decided that in addition to the IHLC, teams that gain the most wins throughout an international season (with each season ending at their respective World Championship) should also be recognized with a special honour, named for one of the greatest “stars” in international hockey history, The Tsujimoto Cup. 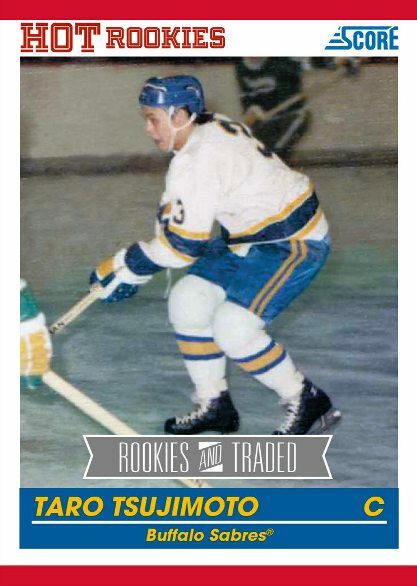 Taro Tsujimoto, the star forward of the Japanese league’s Tokyo Katanas, shocked the hockey world when drafted by the Buffalo Sabres in the 1974 NHL Draft, making him the first truly international star to be invited to play in the National Hockey League. However, Tsujimoto was so highly touted that even he could not live up to the hype, and never did emerge from the Land of the Rising Sun to claim his throne as hockey’s greatest star. 1 The calendar year ends in the Summer of 1914, due to the IIHF suspending operations due to the outbreak of World War I. 2 The calendar year ends on March 5, due to the IIHF suspending operations due to the outbreak of World War II. 3 Canada did not participate in any international competition due to financial constraints. 4 Canada did not participate in any international competition except for the Summit Series in 1972 and 1974, due to conflicts with the IIHF over the designation of amateur players. 1 No international women’s tournaments are held in 1988 or 1989. 2 The only international women’s competition was the European Championships, which Canada did not participate in.